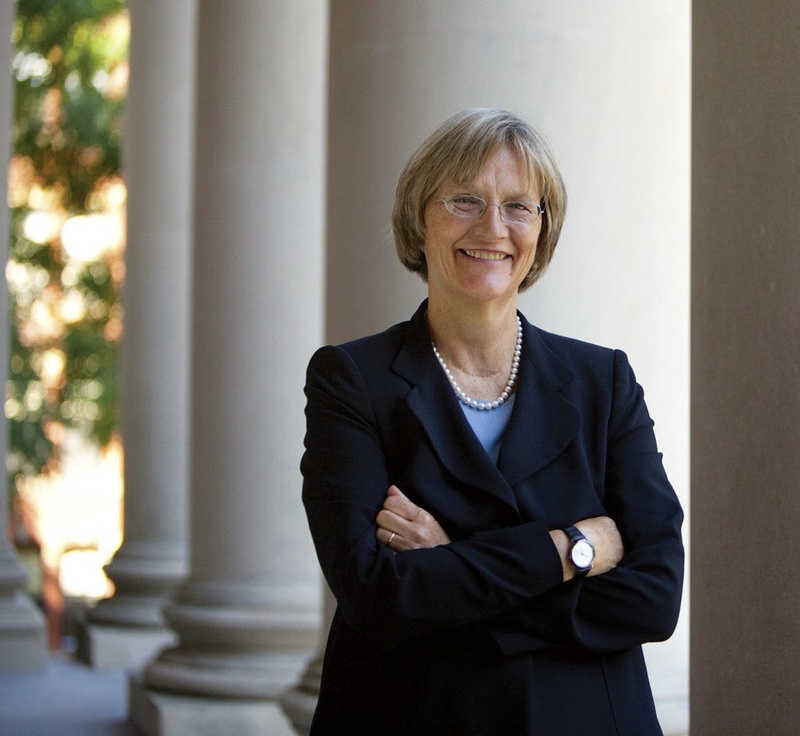 President Drew Faust has requested space for a regular column where she can share her perspectives with readers. This is the first installment. In May, thousands of members of the University community gathered in Tercentenary Theatre to take part in Commencement and to mark the close of a yearlong celebration of Harvard’s 375th birthday. Established in 1636, Harvard was already 140 years old when the nation was founded. There are few institutions in this country or even the world that can claim such longevity. But what does such a claim mean? In an era distinguished by rapid change, what do we intend by our observance of the University’s singular and illustrious history? Why is our past an invaluable resource as we decide how to shape the future? Harvard’s history instills in us both expectations and responsibilities. It connects us to a community of students, alumni, faculty and staff that extends across time as well as space, a community comprising predecessors both recent and remote. Those predecessors—from pioneering scholars and scientists to public servants who have attained the highest office in the land to luminaries in the arts, literature, music and theater—remind us of what is possible for us by their demonstration of what was possible for them. We want to contribute as they have contributed in every imaginable field; we want to improve the human condition, to make our lives matter. And we want Harvard to ask that of us, to expect that of us, and to equip us to accomplish it. The past shapes our institutional ideals as well, diminishing the grip of the myopic present and compelling us to transcend the immediate in search of the enduring. Because we expect the future to be as long as the past, we must act in ways that are not only about tomorrow but also about decades and even centuries to come. We undertake research that is driven by curiosity even as we pursue discoveries that have immediate and measurable impact. We support fields of study that are intended to locate us within traditions of reflection about the larger purposes of human existence, traditions that enable us to ask where we are going—not just how we get there. At the same time, we teach undergraduate, graduate and professional students with the intention of instilling in them the perspective that derives from the critical eye and the questioning mind. Harvard has survived and thrived by considering time and again how its unwavering dedication to knowledge and truth must be adapted to the demands of each new age—from its origins as a small, local college to its emergence as a research university in the late 19th century to its transformation into a national institution and its development after World War II as an engine of scientific discovery and economic growth, as well as a force for significantly broadening social opportunity. We are now in another moment of dramatic shift in higher education, with globalization and technology prominent among the forces challenging us to examine how we do our work and how we define our aims. This year alone we have launched a University-wide initiative to think in fresh ways about our methods of teaching and learning, an Innovation Lab to help our students bring their ideas to life, and edX, a partnership with MIT to embrace the promise of online learning for our students and to share our knowledge with others across the globe. As we look to the future, history offers us the ability to imagine a different world. Think of how the University changed as we came to recognize that our commitment to fulfilling human potential required us to open our gates more broadly. The continuity of our deepest values led us to the transformation of our practices—and of the characteristics of the students, faculty and staff who inhabit and embody Harvard. What was once unimaginable came to seem necessary and even inevitable as we extended the circle of inclusion and belonging to welcome minorities and women, and in recent years to significantly enhance support for students of limited financial means. Our history provides, in the words of Massachusetts Bay Governor John Winthrop, “a compass to steer by,” filling us with confidence in our purposes and in our ability to surmount the risks of uncharted seas. With the strength of our past, we welcome these unknowns and the opportunities they offer as we reimagine Harvard for its next 375 years. For nearly four centuries, Harvard has been inventing the future. History is where the future begins.